It's time for an update again. With this one we aimed for fixing bugs, issues and crashes mostly. We also finalized the missions / contracts system so this will roll out and be available after patch 2.22 as well. Besides these things there isn't any other major changes other than that we fixed and improved a lot of stuff. This patch is originally aimed to be a smaller "in-between" patch to just cover up for improvements. Can't harm, right? Now, let's jump into the patch notes.. Updated the Polish lang pack translations. Updated the Thai lang pack translations. Bus stops are now free in beginner servers. Optimized server-sided missions code causing server lags during high pop times. Optimized client's LOD system / (saves more CPU). Fixed a major issue related to the barricade system where sometimes some barricades wouldn't render for players. This had a very big impact on the game-play of many players and was on our top priority to get fixed. 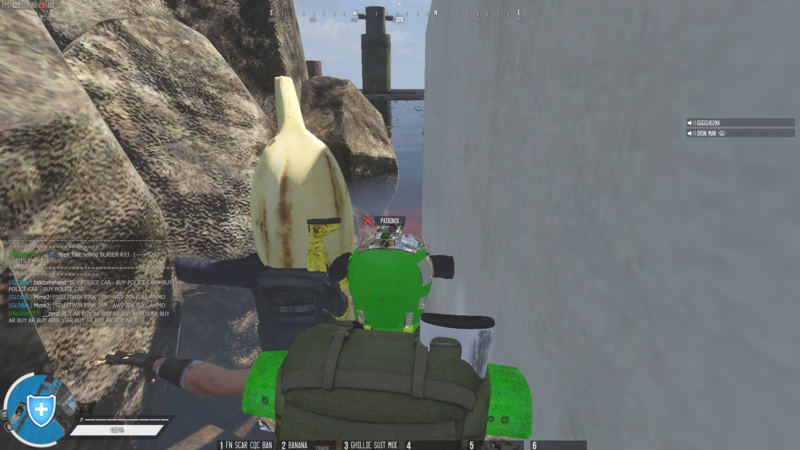 Fixed a glitch allowing players to instantly reload by changing backpack/skinning a backpack. Added more advanced error information for login issues. This so we can help players better / know better what exactly the issue is when players are having issues. Fixed a bug where the group health bar UI would stay bugged in your screen. 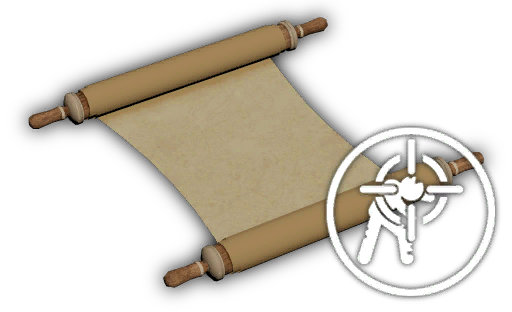 Reworked / updated the Open World contract store icon. Fixed a bug where some missions rewards would not show. Contracts in Survival now have their own look. A lot of new missions are now available in Colorado V2, Open World. Added a special mission to the trading lounge map. For further details about where these will be spawning / how to get them please find more information at the "Open World Updates" section of these patch notes. 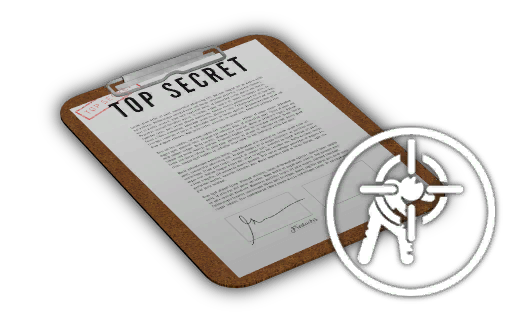 If you'd like to know more about the missions or if you want to share your ideas and opinion you can find more info at: http://forums.fredaikis.com/index.php?/topic/5804-devblog-missions-contracts/ Also, from now on new missions (since they are map-based) will be added under the map in question in the patch notes. So, if we add new missions to Colorado V2 open world, you will see that under that section of the patch notes. For contracts it will be under that game-mode section. Updated the damage model of the drive-able zombie killer bus. The damage model of this vehicle wasn't updated after we removed the front metal bars in a rework earlier. Damage model now matches original model. Players can no longer pick up cars when they're not completely still. This to prevent some major issues from happening where clients couldn't pick cars up due de-sync etc. Fixed a glitch allowing players to kill other players behind objects by abusing the vehicle system. Fixed UI Car icons for the police dragster, tuk tuk and the RV. Added a new model: toilet. We know it's completely unrelated to write this on the patch notes but we wanted to share the fun with you guys. This toilet has a small little "Easter egg" feature. Can you find one in one of the game worlds and find out what this toilet can do? Newly added models are added to the patch notes to keep you guys updated and informed about new content. New models will slowly be integrated in current and new maps so don't expect to see them instantly after a patch. Added a new type of box to the game: "Spray Box". 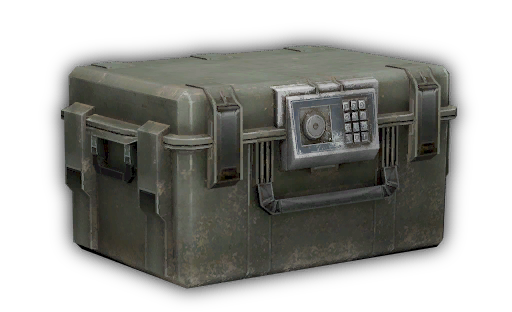 Players will be able to buy this box in the marketplace and upon opening receive one random skin. For the rest it works just the same as any other skinbox. Added a new spray called: "200 IQ". Added a new spray called: "Level 9000". Added a new spray called: "Rockyford #1". Added a new spray called: "I Love PVE". Added a new spray called: "Best Driver!". Added a new spray called: "No Scoper!". Added a new spray called: "Hard Scoper!". Added a new spray called: "Trusted Trader". Added a new spray called: "Loser Numba 1". Added a new spray called: "Later Kid!". Added a new spray called: "Not Impressed!". Added a new spray called: "That's a huge Baguette!". Added a new spray called: "Battle Royale Master". Added a new spray called: "#TryHarder". Added a new spray called: "BANNED". Added a new spray called: "Fredaikis Partner". Added a new hat to the game: "Turtle Hat". Added a new skin for the community box: "Mossberg 590 Purple". Added a decay decrease to the Sniper Silencer (attachment). Decay decrease from 0 to -10% when using this attachment. Added a decay decrease to the Shotgun Silencer (attachment). Decay decrease from 0 to -10% when using this attachment. Added a decay decrease to the Pistol Silencer (attachment). Decay decrease from 0 to -10% when using this attachment. Added a decay decrease to the SMG Silencer (attachment). Decay decrease from 0 to -10% when using this attachment. Added a decay decrease to the Silencer (attachment). Decay decrease from 0 to -10% when using this attachment. Increased the damage of the Wakizashi katana from 65 to 75. Just a reminder for those who forgot what "decay" means: now, when using silencers, your weapon has a little bit less damage range. Decay in this example would mean the range until the weapon (bullet) does damage. Fixed an issue with newly added (unreleased) "Anti-Vehicle" barricade. This item should work properly now. We will still have to test it before we release it so stay tuned for this. Fixed an error related to "000414.934| Failed to auto cook convex mesh: data/objectsdepot/weapons/mel_katana_01_special.sco". Fixed an issue related to the "K. Style NVG GOSU". For some very weird reason players who were using this skin when un-skinning any K. Style NVG it would still use the texture of the GOSU skin. Fixed the quality of the gold skinbox icon. Fixed the description of the FN FAL Infinity skin recipe. Fixed an issue with the "AWM On Fire" that wasn't able to attach any sniper barrel attachments. Fixed a mistake related to the "Butterfly Knife Gamescom 2018" skin where on accident we named it "2019". Fixed an issue related to the newly added Gamescom and Infinity clothes where sometimes the textures would glitch and display on the wrong selection. Fixed the store icon of the "Ex Military Gamescom" character skin. Fixed the skin recipe icon of the "M200 Christmas" skin. Fixed / updated / improved the "Heavy Armor Black Night" skin. Car spawn rates have been adjusted. Doubled the XP for the Alien Super Zombie. Fixed a terrain issue at NATO military base. Fixed a crate at Death Valley at the police station where players could get stuck. Fixed an issue related to "000042.140| WARNING: Object data/objectsdepot/characters/heavy_armor_infinity_max.scb can't be loaded!". Fixed an issue related to some plants missing physics that allowed players to jump inside the preview area. Colorado V1 got prepared and tested for Survival. We are not sure, when exactly we are going to release the map, but it will be very soon. Swapped the players joining and the lobby status texts in Battle Royale. 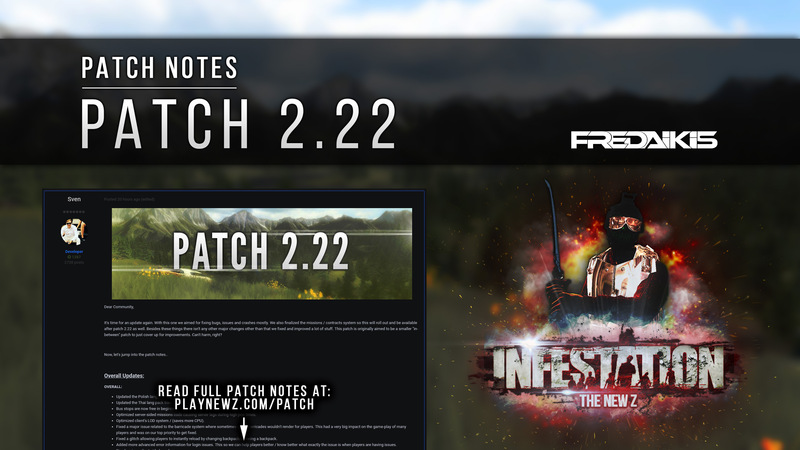 FAC 2.0 Beta testing is now over; A lot of work and time has been put making sure it performs at its best, so we will be implementing it as the main patch this time. If you have any issues with the anti-cheat, please contact us so we can fix the problem. Also, for 1 - 2 more weeks, there will be a legacy client available for people who still show issues, please contact the support to activate this on your account. Estimated patch size: Patch is around 120 megabytes. Patch ETA: Patch will roll out in the morning of Friday, September 7, 2018. Estimated downtime: Servers will be down for around an hour. la mayoría de los intercambios en supervivencia están en GD y deberían permitirle pagar en intercambios de supervivencia con GD porque esto tiende a darnos nuestro GD y engañarnos. It will start rolling out anytime now. Thanks for this nice patch. launcher is stuck on waiting for servers to get ready for me, is there a downtime for the patch? it went back down, was trying to get some new players in hope theres no bugs with the patch. Yeah we're experiencing some issues related to FAC 2.0. Currently fixing them. Stay tuned Sorry for the inconvenience. 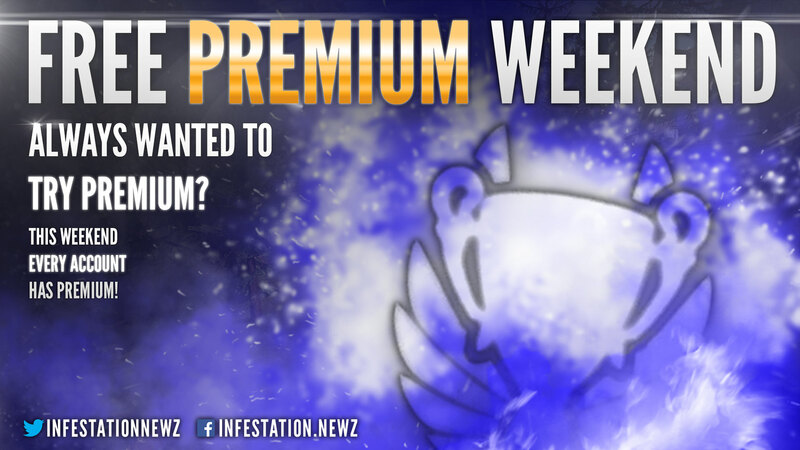 Free Premium for the Bambies and a nice Patch. Might need to do a short quick restart though Stay tuned. We are rolling out a final server restart to fix remaining issues. Downtime will be very short. Sorry for the inconvenience this may cause. Almost done. Sorry. Just need to make sure there's no further issues.